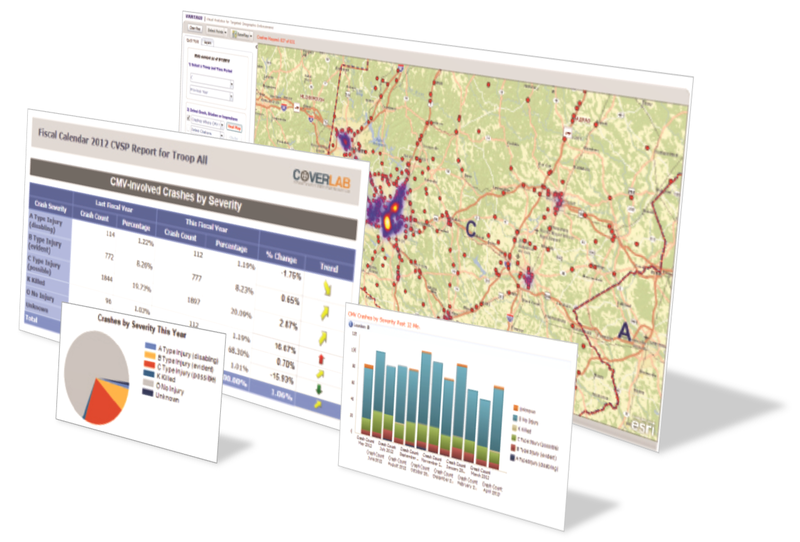 Performance Tracking – Using COVERLAB Analytics, supervisors can “see” how each troop is performing against statewide goals to help identify performance gaps. Interactive Visualization – Data filtering tools enable users to interactively sweep the data to visualize patterns and trends for prioritizing enforcement activities. Map Analytics – Informative graphs show relationships between crash clusters and enforcement activities, allowing users to visually analyze opportunities for improvement. 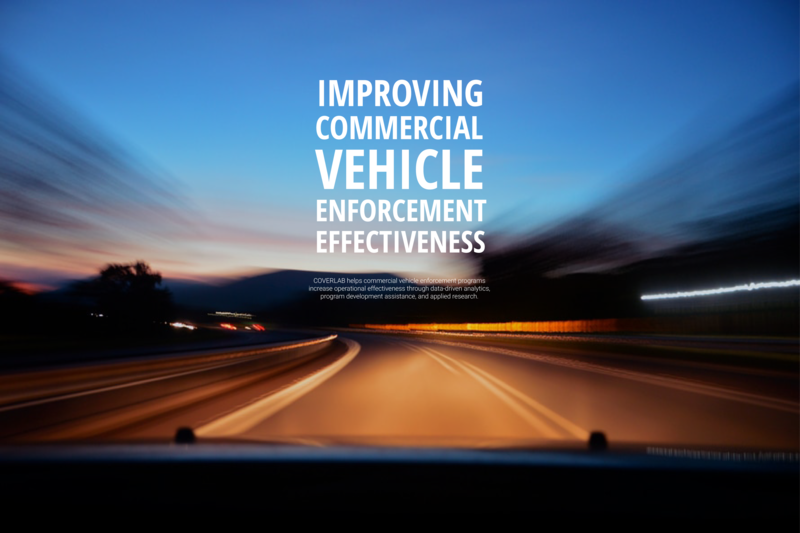 Our approach is to drive operational enforcement planning down to the troop level. Each troop is uniquely different and demands different strategies for maximizing resource effectiveness. Troop supervisors identify performance gaps, translate these gaps into enforcement strategies, and develop troop-specific enforcement plans. 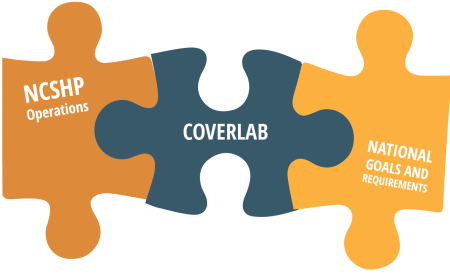 At the state level, the COVERLAB team assists command staff with crafting state enforcement plans, updating performance goals, and developing personnel allocation models, resulting in “data-driven” enforcement planning. 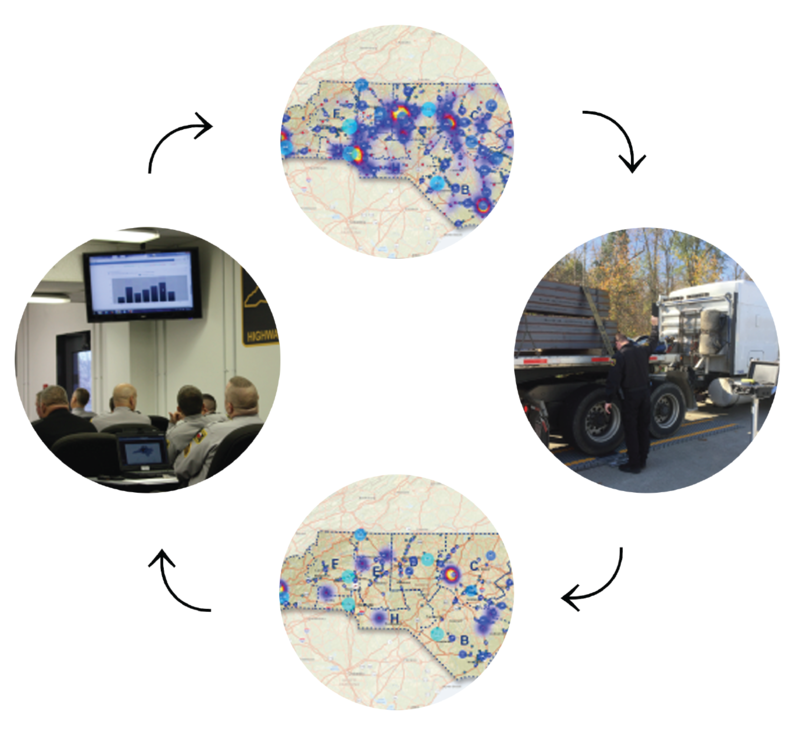 COVERLAB staff work closely with Troop supervisors and command staff to evaluate each data-driven enforcement plan and determine which strategies are working and which are not. Successful strategies are then transferred back into operational enforcement plans, completing the loop. We provide full support for our products and services. If you are having problems with the website or with COVERLAB Analytics, simply send us an email and we will respond ASAP. Call us if you need immediate assistance. Your call goes straight to a staff member’s desk phone; if no one answers, leave a message and we’ll call you back. We are here to assist you.